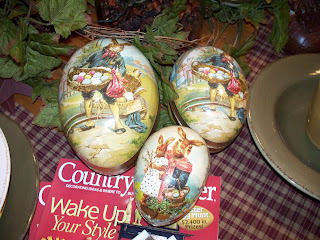 Growing up we each had a German Easter Egg in our Easter baskets filled with goodies. I bought two last year for Kirsten's basket, knowing I would eventually need two for two children. I'm particularly drawn to the vintage style childrens picture ones like these. 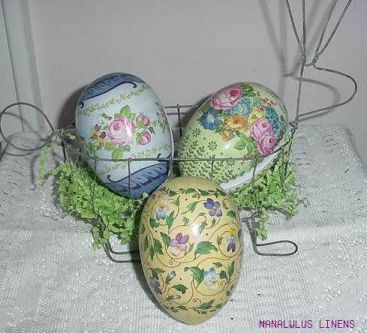 I bought two similar from Etsy for Easter's at our house. The paper frill around the inside is a little worse for wear, but I don't mind. These are beautiful, if you just want a few for yourself. 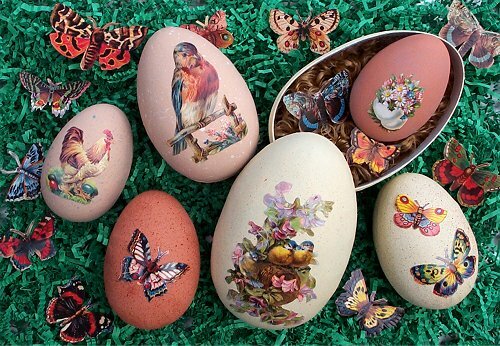 Or if you prefer to paint and decorate your own.